(Age 2 through 1st Grade) Directed by Mrs. Carolyn Santoro, the children learn joyful songs during Sunday Church School . They perform once a month at 10:45 service. (2nd Grade through Confirmation) Directed by Mrs. Carolyn Santoro, youth choir enjoy fellowship while learning songs and rehearsing for their Christmas and Spring shows. One hour long practice one night a week September through May. 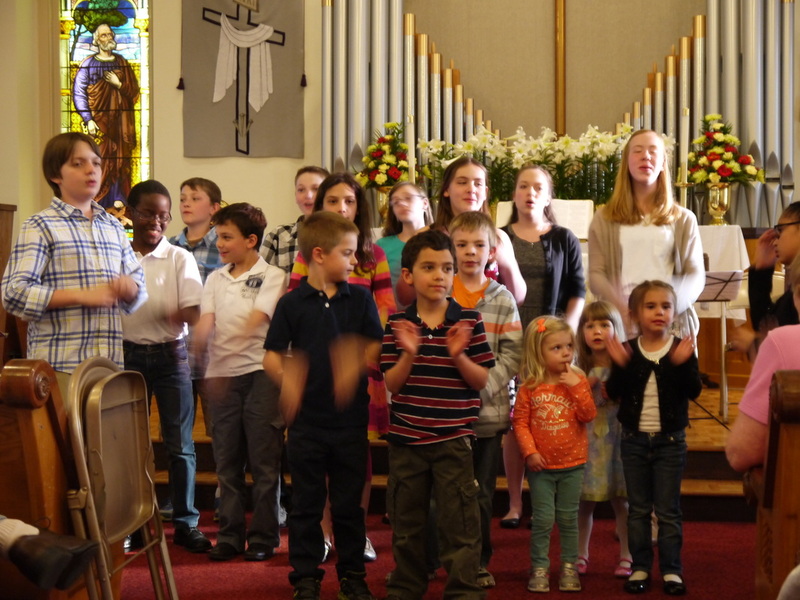 In addition to the Christmas and Spring programs, the Junior Choir performs at the 10:45 Sunday service once a month. (Ages 8 to 8th Grade) Directed by Mrs. Cindy Golden, one hour practice 8:40 Sundays before Church School. Performs throughout the year. No prior music experience necessary!